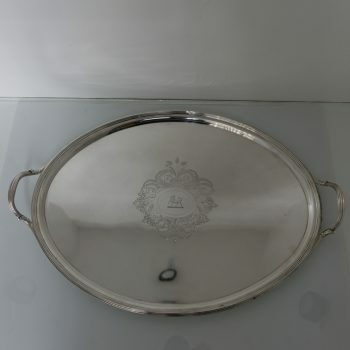 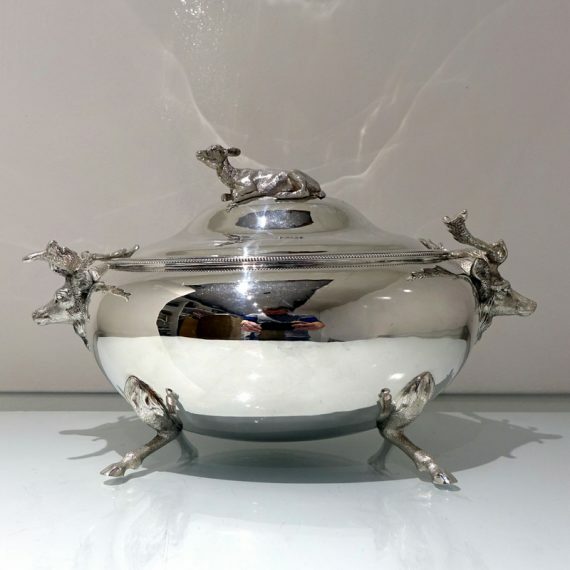 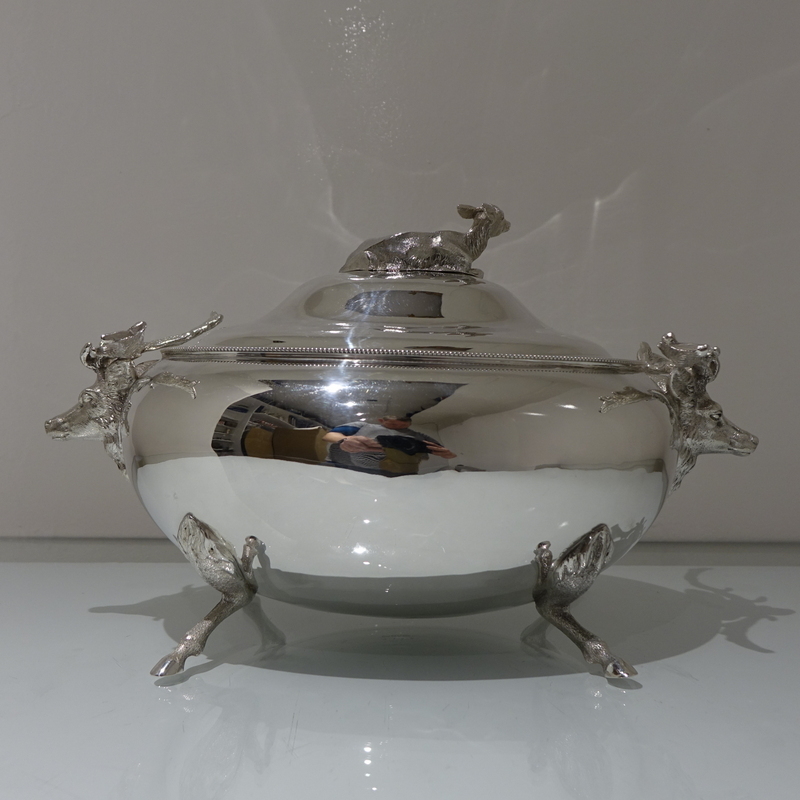 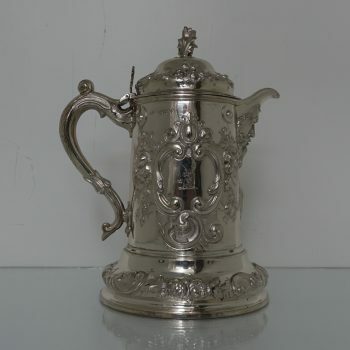 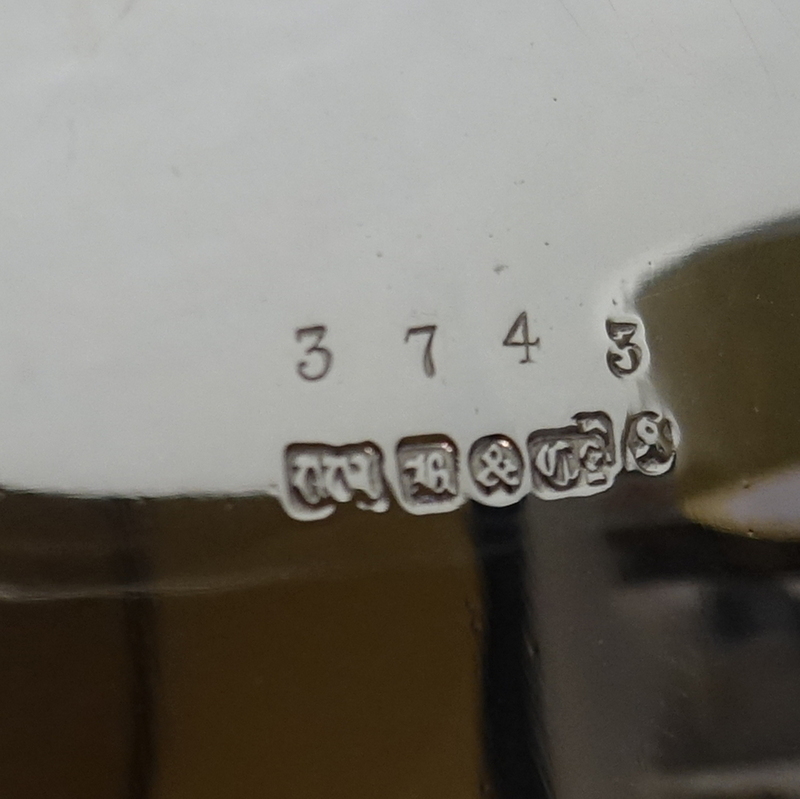 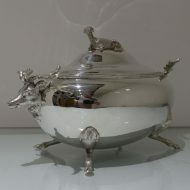 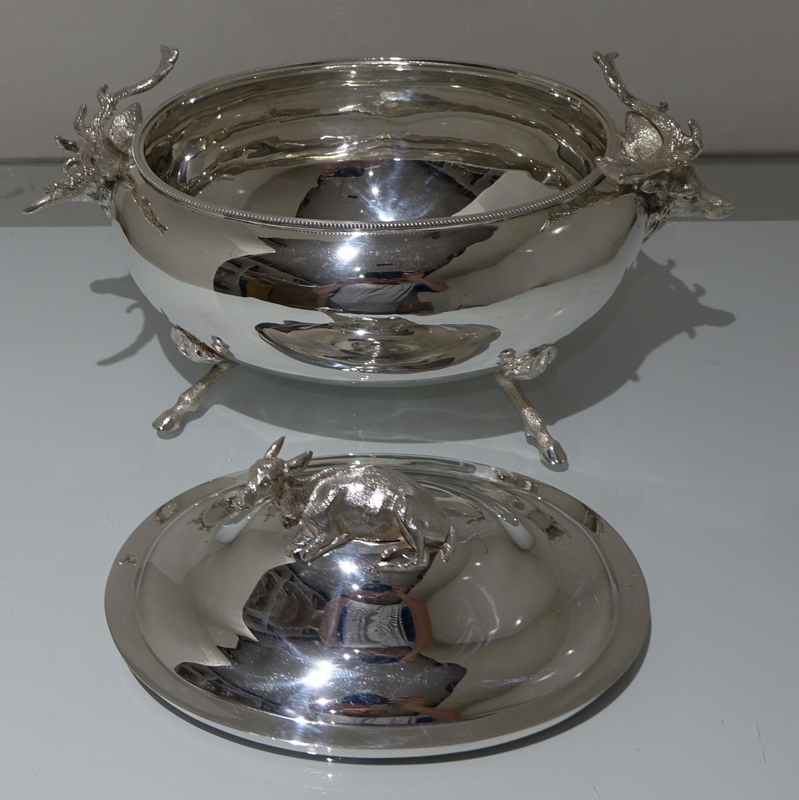 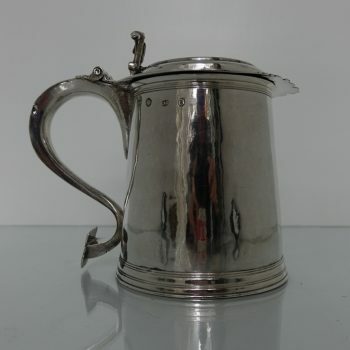 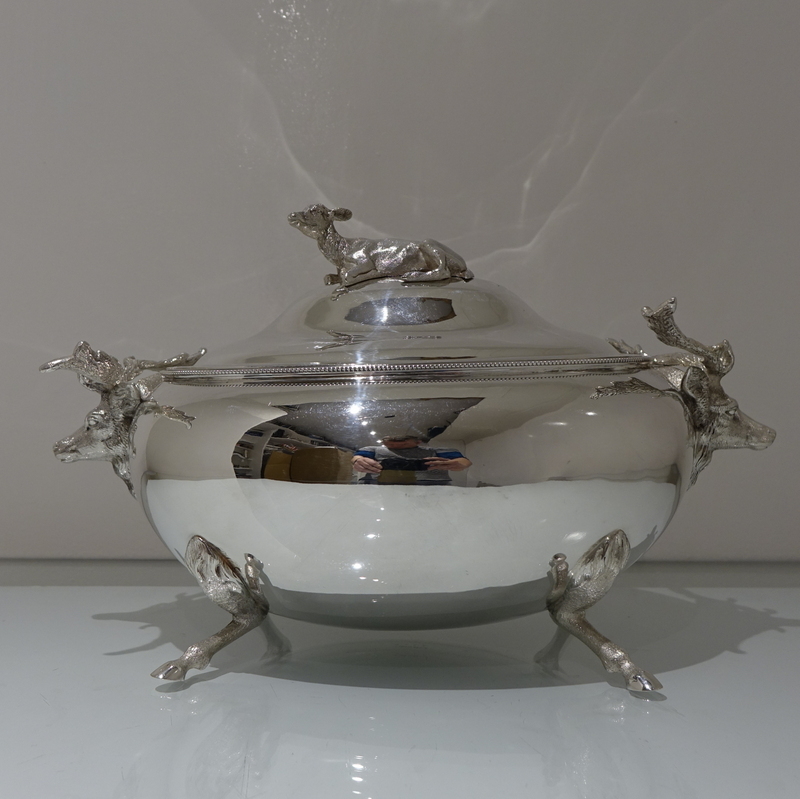 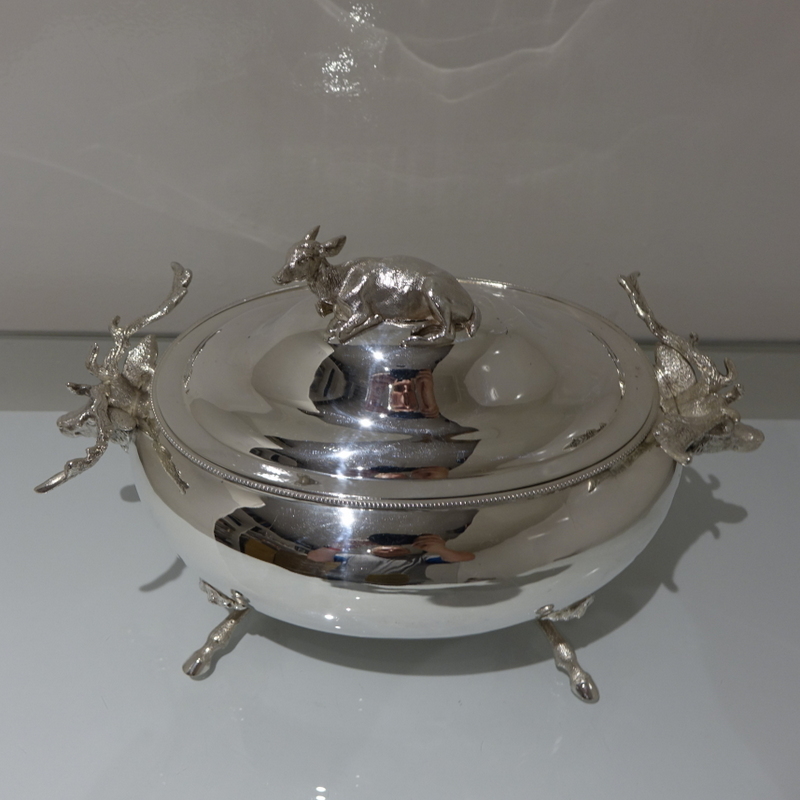 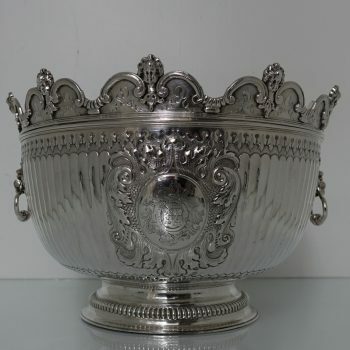 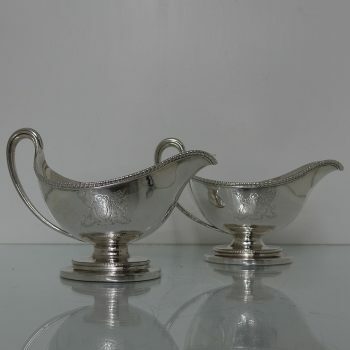 A highly collectable and incredibly rare silver-plate oval soup tureen. 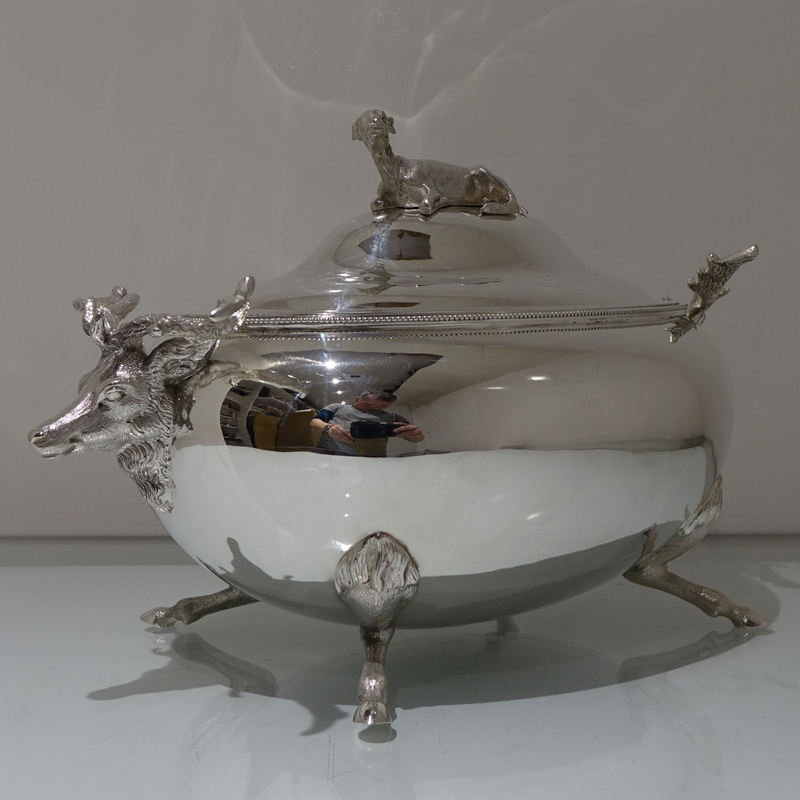 A highly collectable and incredibly rare silver-plate oval soup tureen and cover decorated with an upper bead border for highlights. 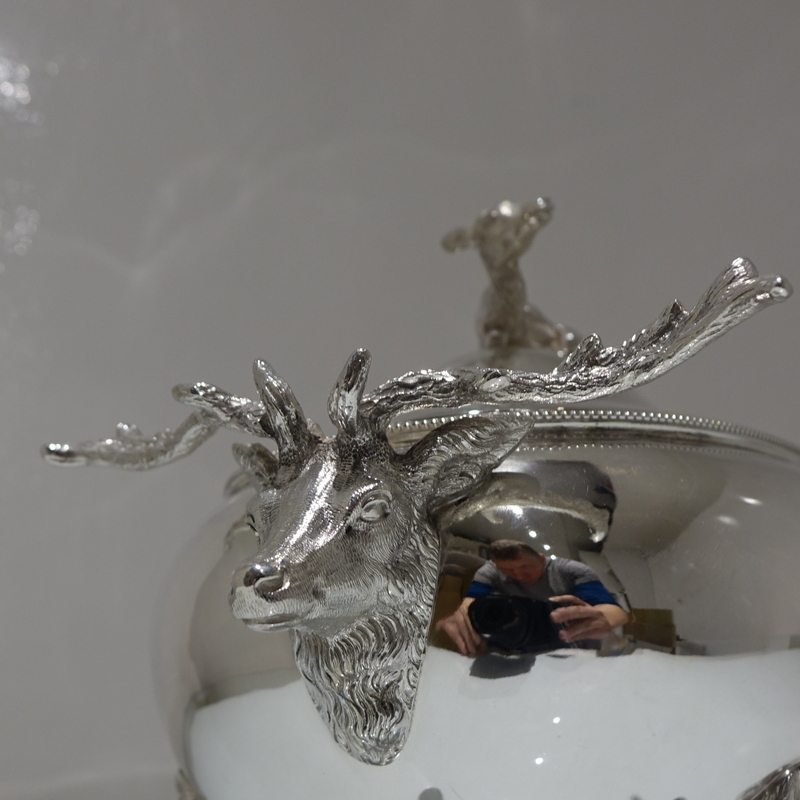 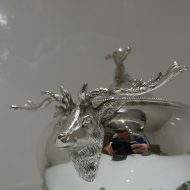 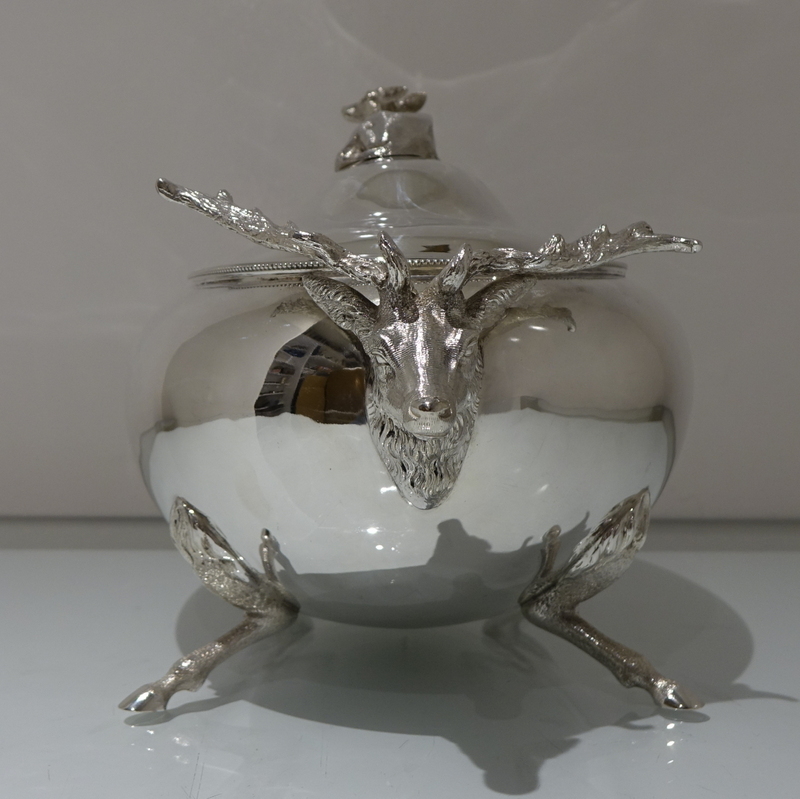 The handles are cast in the form of a mounted stags head and the feet are cast also in the form of stags hooved legs. 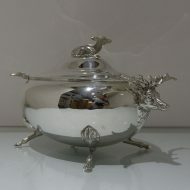 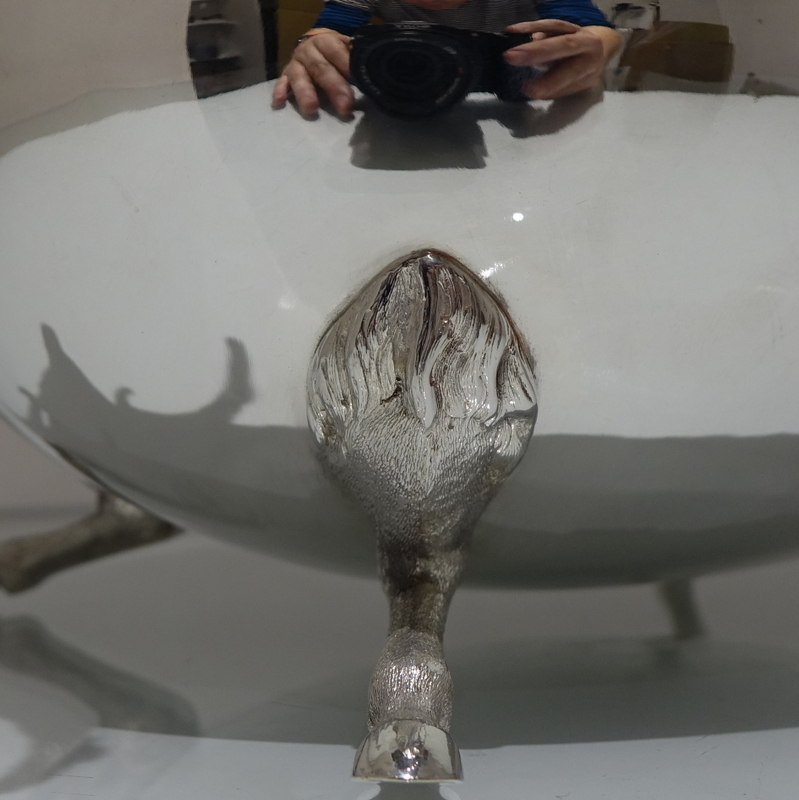 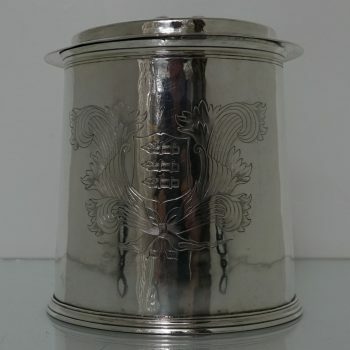 The lid is detachable and is crowned with a “calf” finial.